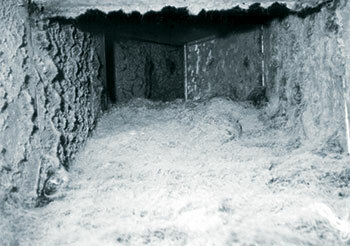 Your furnace and air conditioner pull dust, dirt, pollen, animal dander, and other contaminants into your duct system. These contaminants build up inside your duct work and create an ideal breeding ground for mold spores, bacteria, fungus, mildew, and other microbes. Then, your heating and air conditioning system pushes these microbes into the air of your home, which affects the health and comfort of your family. The most effective way to eliminate air duct pollutants is to remove the contaminants from the entire HVAC system. This method is called “source removal” air duct cleaning. Five Star Plumbing Heating Cooling uses HEPA-AIRE, the most advanced source removal air duct cleaning method on the market today. Creates an home atmosphere that is easier to breathe in, especially for children, the elderly, and people afflicted with allergies, asthma, emphysema, and other respiratory illnesses. Removes lingering tobacco smoke smells and musty or stale odors. Helps you maintain a cleaner home. Makes your heating and air conditioning system run more efficiently and last longer. Quiz: Does Your Home Need Air Duct Cleaning? Do you notice a musty or stale odor when your furnace or air conditioner runs? Does it seem like your home suffers from poor air flow? Is your furnace equipped with only a standard throw-away fiberglass filter? If you can answer “yes” to even one of the above questions, your home may benefit from air duct cleaning. Call Five Star today to learn more about our air duct cleaning service! We service Greenville, Spartanburg, Hendersonville, Oconee, and surrounding areas.